We have a great reputation, and are looking for dedicated people with a passion for food and great enthusiasm to do a job well ! 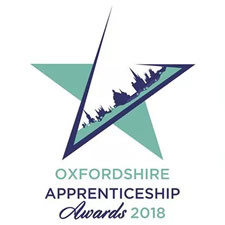 Should you wish to discuss further with a member of the team, please forward your details to lacucinaoxford@hotmail.co.uk or drop in with your C.V.
We are very proud of our apprentices at LA CUCINA, and also at our sister restaurant Cuttlefish. Our management team were fortunate to have positive mentors, receive great opportunities during their professional careers. They are true ambassadors to the industry and want to give others an opportunity to enter a most rewarding profession. At present - we have two trainee FOH managers, and a Sous Chef who have been supported by HIT Training to obtain NVQ's and credits for professional certification - senior supervisory skills and management. WSET- wine and spirit education. Past apprentices who have evolved within our business - remain ! We encourage them to grow within and take on board more responsibility - all round gratification. We also work with local schools and colleges offering work placements for students who are interested in hospitality. A cut above your average Italian. Excellent food, well cooked and presented. Substantial portions. Went for dinner with friends on a very busy Friday night at the end of January 2016 Absolutely couldn’t fault it. What a great place to hold a large family gathering – delicious food, efficient and very friendly service with a smile. Really enjoyed the food here. Some unusual dishes and also some Italian classics – all done very well – extremely tasty. Very good food, nice service. A bit expensive, but ideal for especial ocasions. They have good wine as well. We had a lunch party booked to celebrate an 80th birthday party to which over 50 of us came.